Your lawn is the first thing that people will see before they even come into your home. It gives a good picture of what one should expect when they go through the front door of your house. Keeping it neat, lush and well maintained will earn you points as a good neighbour and the lush lawn will be a welcoming sight for all your guests. But, a lush, green, well-maintained lawn is easier said than done and maintaining it can be a pain. Here are some tips that will make it easier for you. In a bid to reduce the frequency of mowing, most people, mow the lawn too short. This can have a direct effect on the health of the lawn. There is a direct relationship between the height of the grass and depth of the roots. If you have two inches of grass, then you also have two inches of root growth. Longer root growth proofs your grass against drought and disease and allows it to fetch nutrients better. By mowing high, you promote deeper and more root mass. It might look like a great idea to have a lawn mower that bags the clippings. Even though the lawn looks great initially, you are depriving of some much-needed mulch and nutrition. If you are bagging the clippings, then most of the nitrogen in the fertiliser you apply is lost as well as the moisture. By leaving the clippings behind as you cut the grass, you will not only be saving yourself time but also improving the long-term health of your lawn. 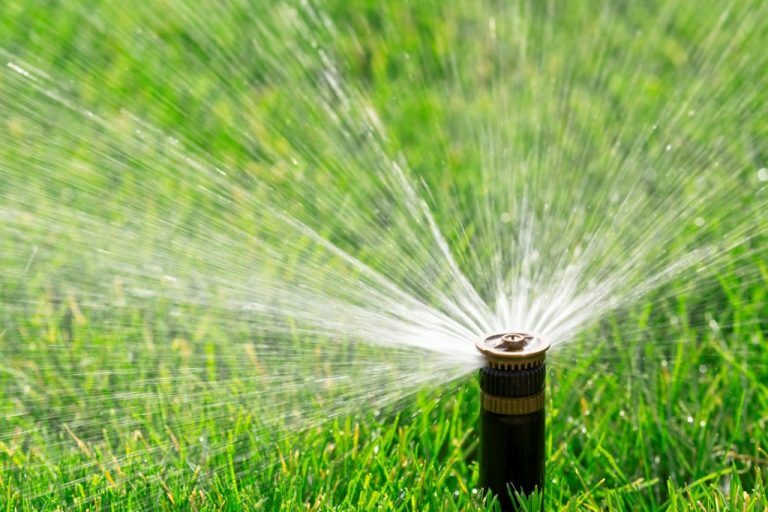 The notion that your grass needs water all the time every day of the week is highly misconceived and very incorrect. Most varieties of grass need about one and a half inches of water per week. To avoid disease, you should water the grass once per week and preferably in the morning. It is best to water less frequently but water deeply. What matters is not the frequency of watering but the timing and the amount of moisture. When mowing you should always make sure that you never mow more than one-third of the height of the grass in one go. This causes stress to the grass and can make it look unhealthy not to mention that it becomes more attractive to diseases. You should always aim to mow less than one third. A dull blade leaves the edges of the grass looking jagged and frayed, and they brown very fast. A sharp blade has a cleaner finish, and the browning is not noticeable. Other than water, your grass needs nutrients. It gets this from manure. To get the best results, you have to get the timing, the amount and the type of fertiliser right. If you are not sure, you can consult with your local weed man for advice. This is one of those little things that are usually not noticed but goes a long way in improving the quality of your lawn. If you don’t change the mowing pattern, you step on the same areas every time and overtime, the grass in these areas can dry up and weaken causing bald spots. Changing tact will avoid this. With these simple tips, you can take better care of your lawn for better results without killing your grass or damaging it. If you need a professional lawn mowing or gardening service Gardening Angels is here to help.